Monday lunch. 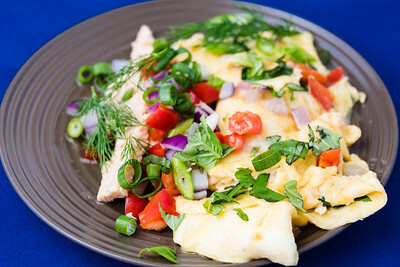 Cheese and salmon omelet. 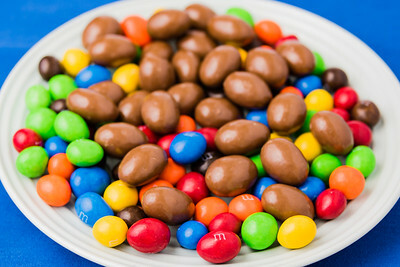 Monday dinner. 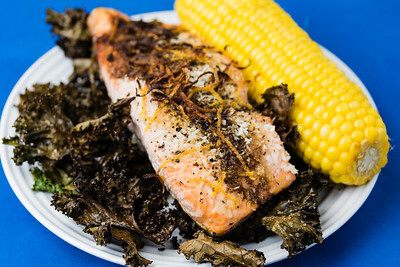 Salmon with sweet corn and kale chips.